WHY: There is a safety crisis in our state that threatens every Texan. Many insurance companies are dictating unsafe auto repairs in pursuit of profit. Because of pressure from the insurance industry, manufacturer procedures are being ignored and cheap parts are being used in major repairs. This corner cutting can cost lives. Notably, the Seebachan couple was trapped in a burning vehicle and severely injured because their vehicle's roof had been glued on instead of welded in over 100 places per the manufacturer's specifications. A jury sent a strong message with a multi-million dollar verdict that these dangerous practices will not be tolerated. We need immediate changes to our insurance laws to protect the public from this safety crisis. 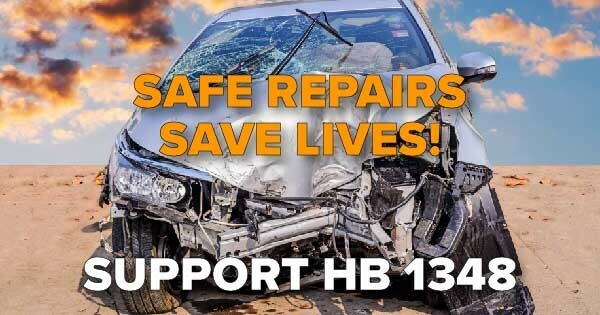 HB 1348 by Rep. Travis Clardy would protect us by ensuring quality parts are used to make quality repairs in the quality shop of your choice. Instead of running from the problem, leading auto body associations are stepping up, speaking out about the pressures they face from the insurance industry, and asking lawmakers to take a stand for their constituents. All Texans deserve a safe repair because safe repairs save lives. The catastrophically wrecked and burned vehicle in the Seebachan case will be brought to the Capitol at the rally and will present compelling visuals for film crews and photographers.